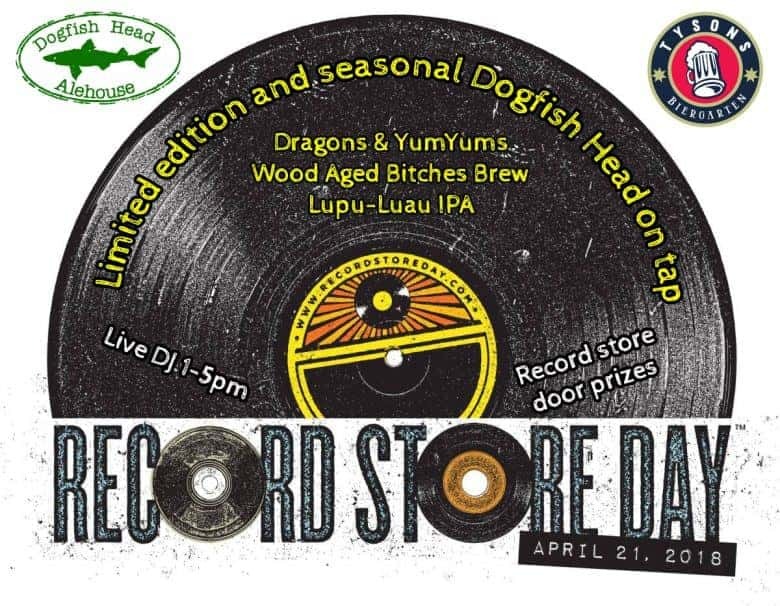 Join us as we celebrate Record Store Day on April 21st with the official beer of the day, Dogfish Head! We’ll have Dogfish Head on draft and in bottles and cans, door prizes from both them and local record stores, and a DJ from 1-5pm. In cans and bottles, we’ll have their 60 Minute IPA, 90 Minute IPA, 120 Minute IPA, Romantic Chemistry, Indian Brown, Namaste, and SeaQuench.